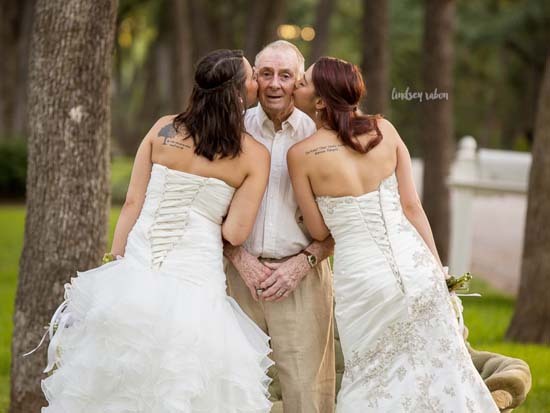 GRAPEVINE, TX -- For many women, having their father walk them down the aisle on their wedding day is one of the most memorable moments of their lives. But twin sisters, Becca and Sarah Duncan, have no immediate plans to walk down the aisle. Their dad, Scott, has Alzheimer's - so the twins decided to do something unforgettable to make sure their dad would be included on their special day. 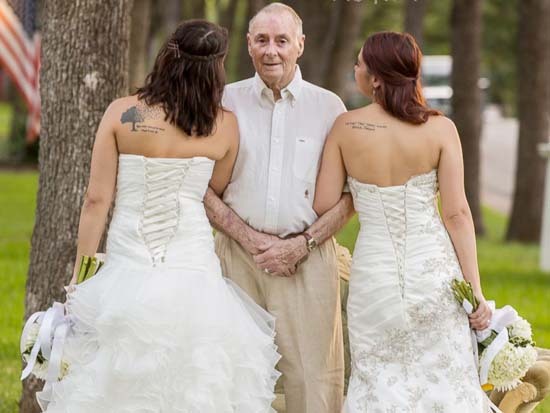 The 23-year-old Grapevine, Texas siblings decided to stage a wedding photo shoot with their father. "We just randomly thought of this idea," Becca told ABC News. 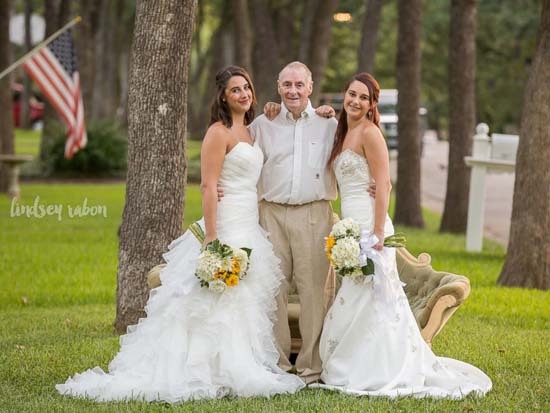 "Me and Sarah know that our dad is more than likely not going to be at our wedding -- it's not being a downer or anything; we're just being realistic -- so we decided to do these wedding pictures with Dad." The twins mother helped them secure photographer Lindsey Rabon, to capture the special moment and Rabon did the shoot free of charge. Thanks to friends and family, the Duncan sisters also received donated wedding gowns and bouquets for their bridal-inspired photo shoot. "We now get this moment for the rest of our lives and I don't think some people really understand that's why we were doing it," Sarah told ABC News. "We want to capture the moment while we can." The photo shoot only took ten minutes, but produced results the twins will remember for a lifetime.